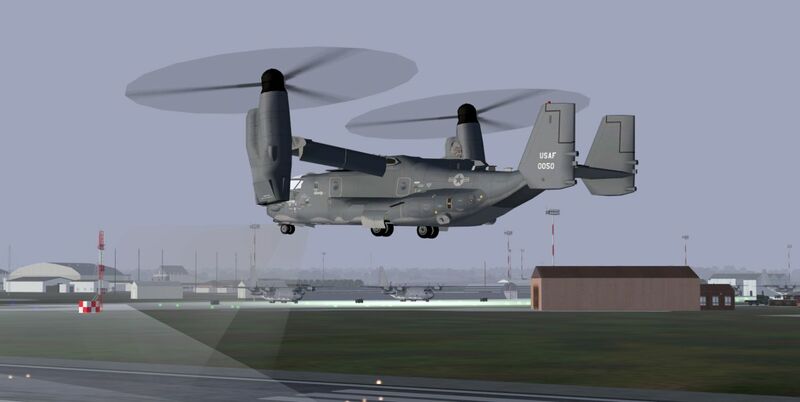 12 CV-22B Ospreys of the 352nd SOW, RAF Mildenhall UK. The package, which is primarily for FS9, contains a choice of 4 animated parked configurations. 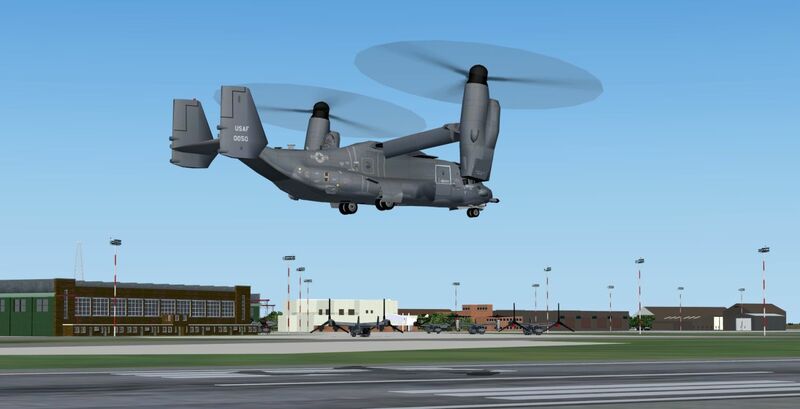 Also included are flight plans and a replacement AFCAD file that provides parking in the MAIW V2 Mildenhall scenery. 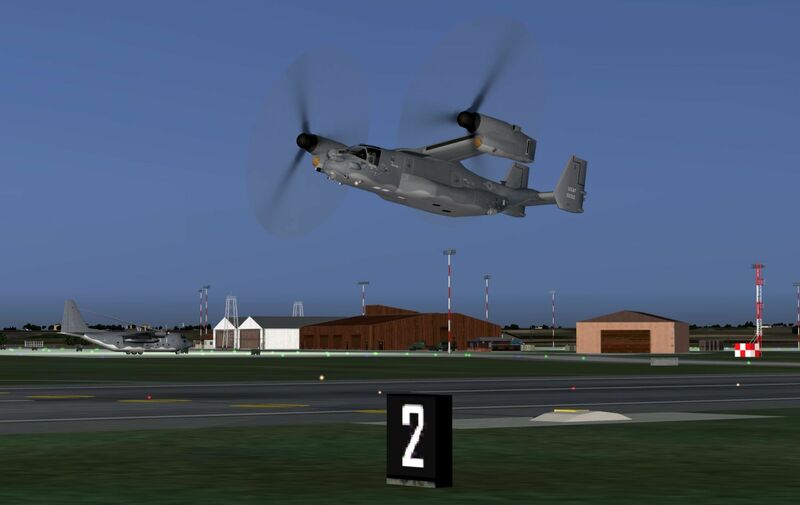 The package will also work in FSX, but some lowering of the complexity settings for the Mildenhall scenery may be necessary for users with mid-lower end PCs in order to achieve acceptable frame rates.Please read the included documentation carefully for a correct installation! Updated 23Aug16: New FDE to fix landing issues at low framerates.